Polyphony Digital sent out codes for the not yet released game Gran Turismo Sport. Luckily we got the beta code. Right now the game is in beta testing and people who get the codes play the game with multiplayer to give Polyphony Digital feedback on the game for glitches. The developers of the game took out the dynamic day time change so you are only stuck at a certain time from dawn to dusk so the game can stay at sixty frames per seconds. Currently there is no weather feature in the beta. Polyphony also implemented the Sportsmanship Rating which gives you points for clean driving like staying on the track and racing others without bumping or wrecking each other. So far this system is somewhat helpful and broken at the same time. The broken part of this is that if you get knocked off or drive off to avoid a collision you lose Sportsmanship Rating points even though you did not bump into anyone or tried not to. This system is used to put clean drivers with clean drivers, and dirty drivers with dirty drivers. The online servers has an open time from 5:00 PM to 7:00PM in the evening. On the weekend the times are earlier because they change the tracks from the morning to new tracks during the evening. 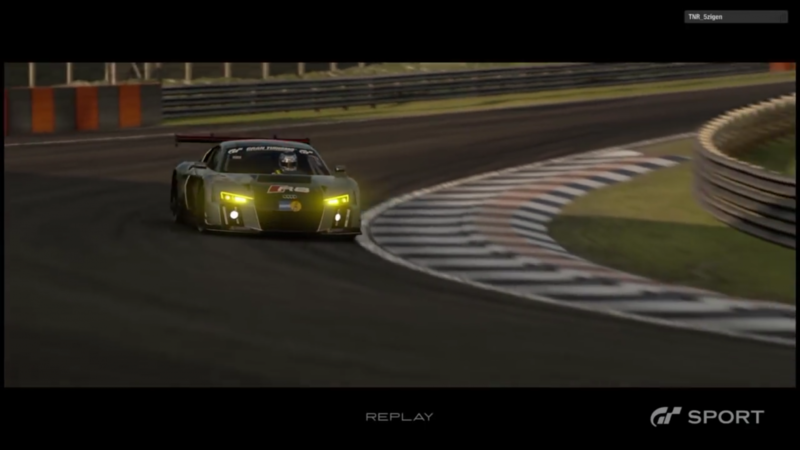 Gran Turismo Sports physics is a big improvement from the previous game Gran Turismo 6. The good improvements on the physics is that camber, dampers, and spring rate work now. In Gran Turismo 6 camber did not work at all. The dampers you would have to run was soft everywhere, and spring rate did not work at all because all you had to run is lowest spring rate everywhere no matter how bumpy or smooth the road was. The bad part about the physics is that ride height is still broken because the lowest ride height in the front and highest in the rear makes the car turn the best like in Gran Turismo 6. Mid engine cars are still broken, for example, The Audi R8 GT3 and Ferrari 458 GT3 still want to spin out at low speeds. Traction out of the corners for any car seems unrealistic. Draft is worst part of the physics because it is a downgrade from the previous game. When you are behind someone by over five seconds you still pick up the draft and the draft is so strong you go 10 or more miles per hour faster being that far back. On the damage side of the game, we do have to say that the GT Sport’s rival game Project cars nailed it way better. In GT sport, the damage is very minimal. It is quite literally a few scratches if you hit the barrier while cruising at 100 MPH. In project cars on the offhand, you would have massive damage to the car, and internal parts would break, changing the handling and drivability of the car. Sadly, GT sport lacks this element that would make the racing experience a lot better. The game seems to, in a way, be slower than reality, but can partially be due to handling of your vehicle. The graphics in the game are something else. It uses Polyphony Digital’s custom rendering engine. The game has stunning detail, from the tree bark on the trees, to the paint layers on the car you are driving. Obviously, while you are driving, you cannot see all the game’s stunning detail, but when in “photo mode” you can see just how precise these graphics are. The game also has many different race track maps, each one being unique and designed flawlessly. The game sound do sound genuinely accurate which is a major positive. In a lot of racing games and some simulators, the makers do not try to make the most accurate sound the each car, instead making every car sound the same. In Gt sport, you can really tell that the creators really tried to get each individual car’s sound as accurate as possible, inside the cabin and out. From playing the game, and hearing it, it is fairly obvious that the audio is on point.